I made these beauties for a pot-luck I was attending earlier this month, and have only just got round to writing about them. These are the perfect dessert or treat for summer… ripe, seasonal fruit, a rich chocolatey flavoured filling and then a little bit of mint. 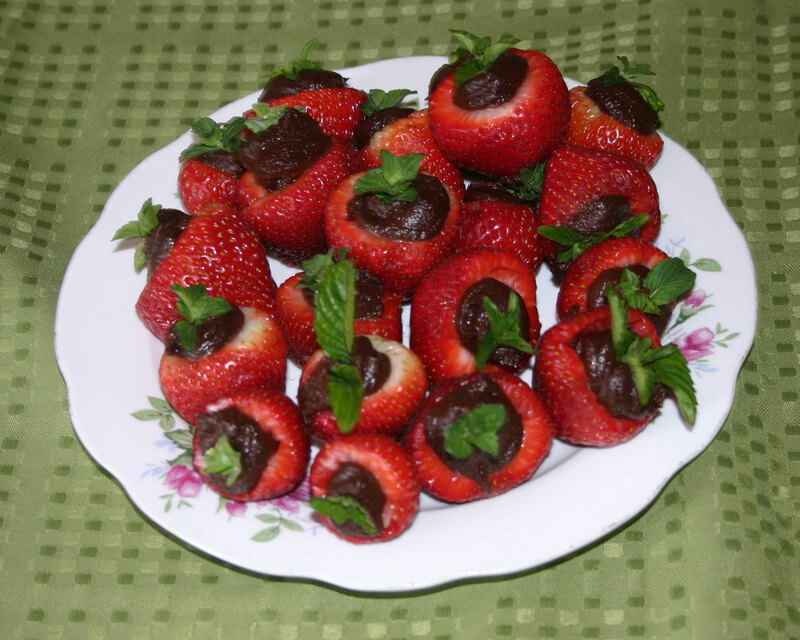 Essentially, they are fresh, perfectly ripe strawberries that have been hollowed out and filled with the same choco-bananacado mousse that I have posted about a while back. Then a mint sprig was added to simulate the green leaves. and provide a burst of freshness. These are incredible and got devoured almost immediately. 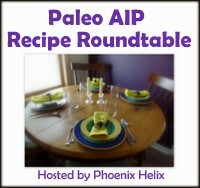 They are 100% autoimmune protocol friendly, but are also vegan. And they are very quick and easy to make. If you can tolerate chocolate/cocoa, you could probably substitute the carob powder for some cocoa powder to make these really rich and chocolatey…. Just an additional note – it is worth buying the best, ripest, strawberries you can find. go for organic, local grown, really fresh… because if you don’t you won’t get the full strawberry flavour. Who wants to eat insipid, out of season strawbs that have been flown halfway round the world, treated with pesticides and goodness knows what and taste of nothing! I firmly believe that strawberries should be a seasonal treat – enjoy them while they are fresh and seasonal…. Place the avocado, banana, carob powder, vanilla powder, coconut oil, honey and coconut cream in a food processor and puree the mixture until it is smooth and evenly mixed. 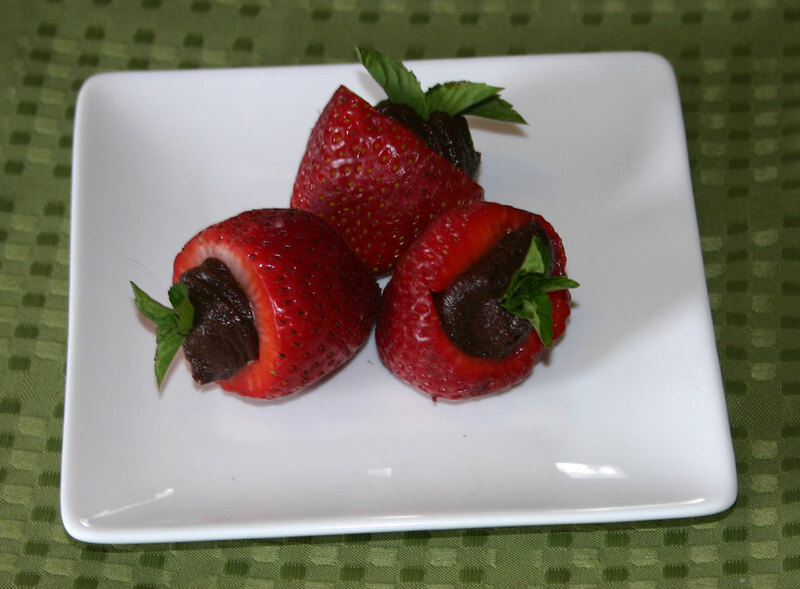 Use a plastic bag with the corner cut off, or a piping bag to pipe the carob/banana/avocado mixture into the hollows you cut in the strawberries. You may have more of the mixture than you need to fill the strawberries – just transfer the extra to a dish and eat it later! 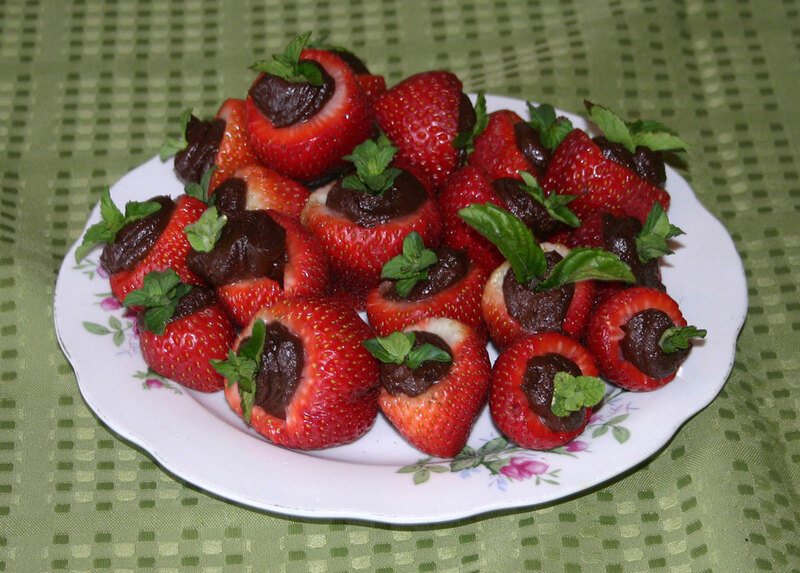 Top the carob filled strawberries with a mint sprig. Chill in the fridge to set the carob mixture. These do need to be eaten relatively quickly, but will last a day or two in the fridge. I try to keep what the kids drink to things that are healthy and relatively sugar -free – so I don’t buy much in the way of juices and I certainly don’t buy drinks that contain additives. But they complain that plain old water is boring. Usually we just flavour it with a quick squirt of lemon juice, but yesterday I decided I was going to treat them and make them some flavoured water to have with their dinner. Partly because I had a bunch of strawberries in the fridge that really did need using up before they went too squishy. A little soft and squishy is fine for this recipe, but you don’t want to use ones that are actually bad. BTW do you know the trick for keeping your strawberries fresh for longer (actually it works for all berries, not just strawbs…). 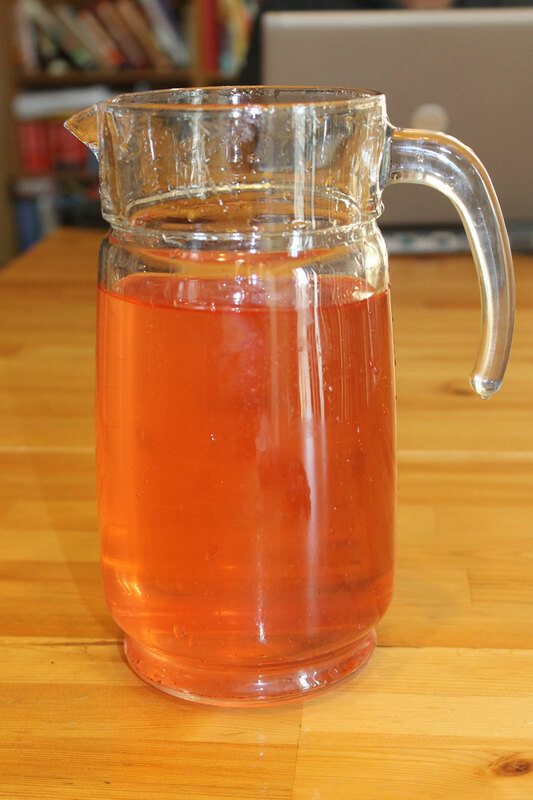 Give them a quick soak in water to which you have added a big glug of vinegar. 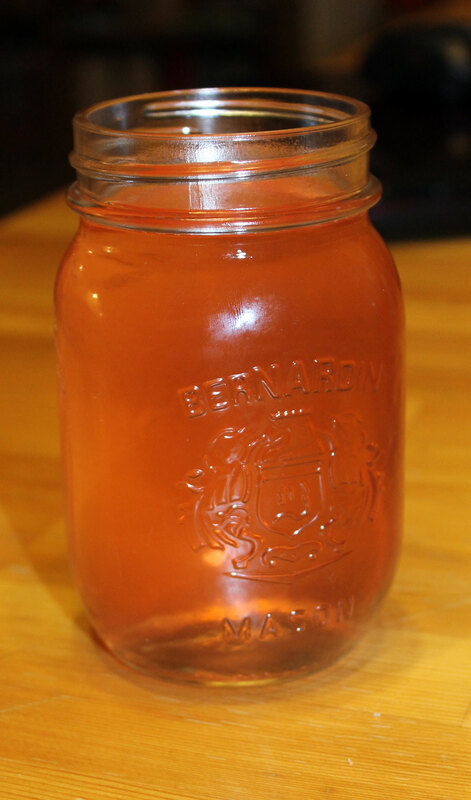 The acid in the vinegar kills any mould spores and stops them going mouldy. It won’t stop the squishyness however. Trim the green tops off your strawberries and slice them up. Take the mint leaves and crush them up in your hands – the aim is to bruise them so that the flavour can infuse into the water. 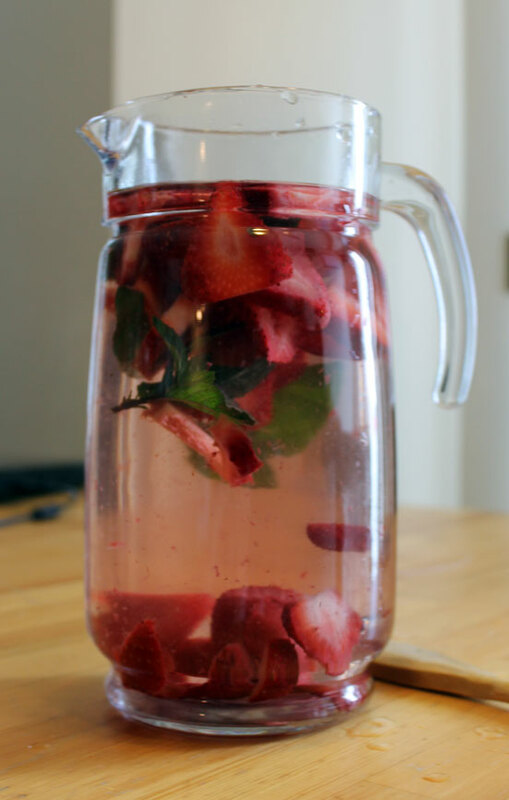 Then put strawbs and mint in the biggest jug you have – mine is a 2 litre one. Fill it up with cold water, stir well, cover in cling wrap and stash it in the fridge for several hours. The longer you leave it, the stronger the flavour and the darker the colour. I left this batch for about 4 hours which turned it a very pretty pale pink and gave it a subtle strawberry and mint flavour. 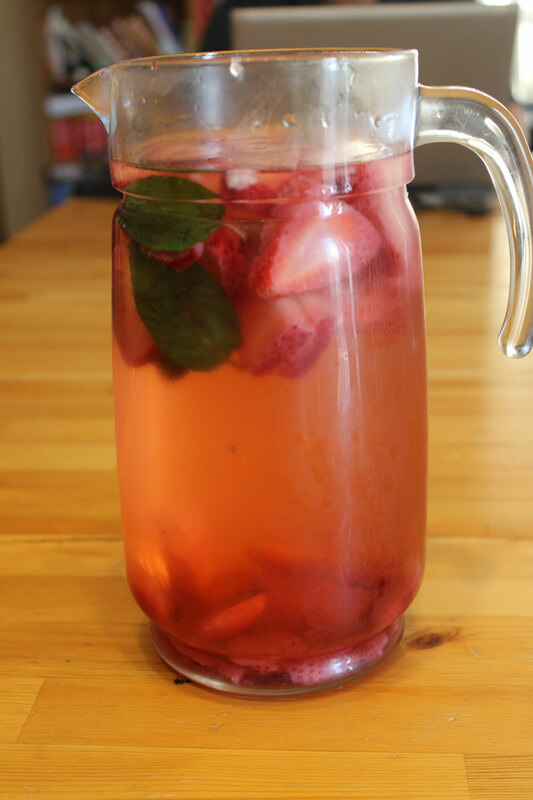 It is up to you if you want to strain out the strawberries and mint leaves. I did.